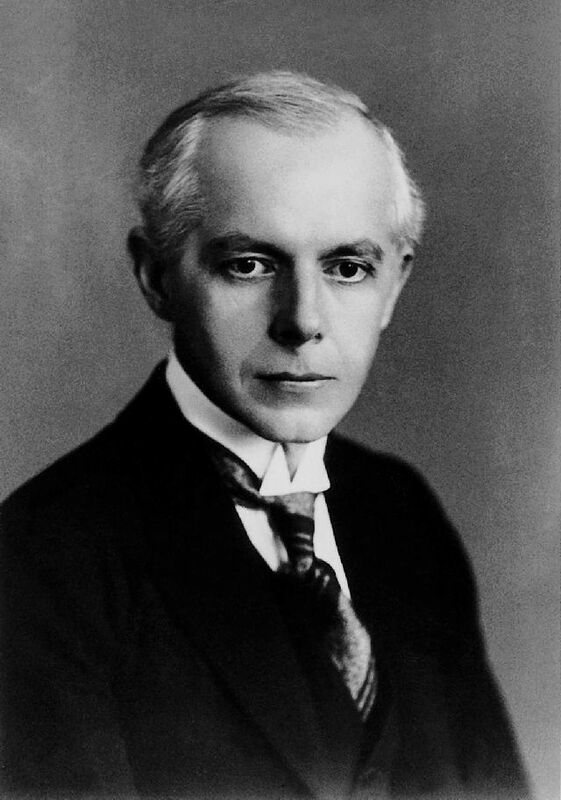 Today is the birthday (1881) of Béla Viktor János Bartók, Hungarian composer and pianist. He is considered one of the most important composers of the 20th century; and he and Liszt are regarded as Hungary’s greatest composers. Through his collection and analytical study of folk music, he was one of the founders of comparative musicology, which later evolved into ethnomusicology. Béla Bartók was born in the small Banatian town of Nagyszentmiklós in the old Kingdom of Hungary, (since 1920, Sânnicolau Mare in Romania). Bartók’s family reflected some of the ethno-cultural diversities of the country. His father, Béla Sr., considered himself thoroughly Hungarian, because on his father’s side the Bartók family was a Hungarian lower noble family, originating from Borsod county, though his mother, Paula (born Paula Voit), spoke German as a mother tongue, but was ethnically of “mixed Hungarian” ancestry of Danube Swabian origin. Among her closest forefathers there were families with such names as Polereczky (Magyarized Polish or Slovak) and Fegyveres (Magyar). Béla displayed notable musical talent very early in life: according to his mother, he could distinguish between different dance rhythms that she played on the piano before he learned to speak in complete sentences. By the age of four he was able to play 40 pieces on the piano and his mother began formally teaching him the next year. Béla was a small and sickly child and suffered from severe eczema until the age of 5. In 1888, when he was seven, his father (the director of an agricultural school) died suddenly. Béla’s mother then took him and his sister, Erzsébet, to live in Nagyszőlős (today Vinogradiv in Ukraine) and then to Pozsony (today Bratislava in Slovakia). In Pozsony, Béla gave his first public recital at age 11 to a warm critical reception. Among the pieces he played was his own first composition, written two years previously: a short piece called “The Course of the Danube.” Shortly thereafter László Erkel accepted him as a pupil. From 1907, he also began to be influenced by the French composer Claude Debussy, whose compositions Kodály had brought back from Paris. Bartók’s large-scale orchestral works were still in the style of Johannes Brahms and Richard Strauss, but he wrote a number of small piano pieces which showed his growing interest in folk music. The first piece to show clear signs of this new interest is the String Quartet No. 1 in A minor (1908), which contains folk-like elements. 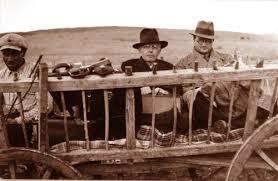 In 1908, he and Kodály traveled into the countryside to collect and research old Magyar folk melodies. Their growing interest in folk music coincided with a contemporary social interest in traditional national culture. They made some surprising discoveries. 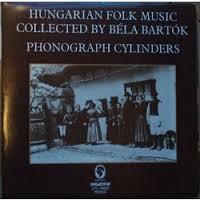 Magyar folk music had previously been categorized as Gypsy music. The classic example is Franz Liszt’s famous Hungarian Rhapsodies for piano, which he based on popular art songs performed by Romani bands of the time. In contrast, Bartók and Kodály discovered that the old Magyar folk melodies were based on pentatonic scales, similar to those in Asian folk traditions, such as those of Central Asia, Anatolia and Siberia. Bartók and Kodály quickly set about incorporating elements of such Magyar peasant music into their compositions. They both frequently quoted folk song melodies verbatim and wrote pieces derived entirely from authentic songs. An example is his two volumes entitled For Children for solo piano, containing 80 folk tunes to which he wrote accompaniment. Bartók’s style in his art music compositions was a synthesis of folk music, classicism, and modernism. His melodic and harmonic sense was profoundly influenced by the folk music of Hungary, Romania, and other nations. He was especially fond of the asymmetrical dance rhythms and powerful harmonies found in Bulgarian music. Most of his early compositions offer a blend of nationalist and late Romantic elements. Bartók was often criticized for quoting folk songs in his compositions instead of writing his own melodies, to which he responded that Shakespeare used existing stories as the bases of his plays and no one accused him of lack of originality. Besides he was trying to infuse a genuinely Hungarian ethos in his compositions. 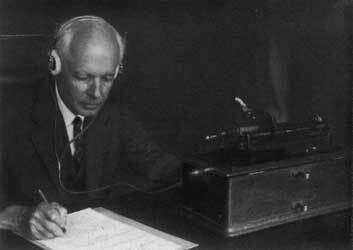 Furthermore, the scales and rhythms of the folk melodies lent themselves to Bartók’s experimental composition style . I can’t really analyze his compositions without getting too technical, but I’ll give a few hints. Bartók’s musical vocabulary, as demonstrated in his string quartets particularly, departs from traditional use of major and minor keys, focusing more on the well tempered chromatic scale and attempting to use each note equally. The well tempered chromatic scale has 12 equally spaced semitones which can all be used in a composition, or a subset of them can form a scale such as whole-tone, pentatonic, diatonic etc. His use of these subset scales allowed him to incorporate a wide range of folk music in an expanded harmonic system. Indeed, his original studies and settings of many examples gleaned from his extensive explorations of the Hungarian countryside and Eastern and Central Europe, undoubtedly served as a major influence upon his expanded musical vocabulary. Bartók held a long fascination with mathematics and how it pertained to music. He experimented with incorporating the golden section and the Fibonacci sequence into his writing. These fascinations aren’t obviously present in his Fourth String Quartet, which I want to focus on, he did incorporate symmetrical structures: Movements I and V are similar, as are Movements II and IV; Movement III is at center, greatly contrasting with the other movements. This is sometimes called an “arch” structure. Movements I and V share similar motifs (some of it is based on cell z); the second theme in the first movement is prominent in the fifth. Movements II and IV share similar ideas as well, but the ideas present within these two movements can be considered variations on themes presented earlier, expanding and building on ideas presented in the first and fifth movements. Movement III differs from the other four movements in that it is textured and quiet. Here is a decent recording. In 1909 at the age of 28, Bartók married Márta Ziegler (1893–1967), aged 16. Their son, Béla III, was born on August 22, 1910. After nearly 15 years together, Bartók divorced Márta in June 1923.Two months after his divorce, he married Ditta Pásztory (1903–1982), a piano student, ten days after proposing to her. She was aged 19, he 42. Their son, Péter, was born in 1924. 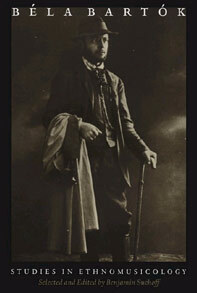 In 1911, Bartók wrote what was to be his only opera, Bluebeard’s Castle, dedicated to Márta. He entered it for a prize by the Hungarian Fine Arts Commission, but they rejected his work as not fit for the stage. In 1917 Bartók revised the score for the 1918 première, and rewrote the ending. Following the 1919 revolution, he was pressured by the new Soviet government to remove the name of the librettist Béla Balázs from the opera, as he was blacklisted and had left the country for Vienna. Bluebeard’s Castle received only one revival, in 1936, before Bartók emigrated. For the remainder of his life, although he was passionately devoted to Hungary, its people and its culture, he never felt much loyalty to the government or its official establishments. In 1927–28, Bartók wrote his Third and Fourth String Quartets, after which his compositions demonstrated his mature style. Notable examples of this period are Music for Strings, Percussion and Celesta (1936) and Divertimento for String Orchestra BB 118 (1939). The Fifth String Quartet was composed in 1934, and the Sixth String Quartet (his last) in 1939. In 1936 he traveled to Turkey to collect and study folk music. He worked in collaboration with Turkish composer Ahmet Adnan Saygun mostly around Adana. In 1940, as the European political situation worsened after the outbreak of World War II, Bartók was increasingly tempted to flee Hungary. He was strongly opposed to the Nazis and Hungary’s siding with Germany. After the Nazis came to power in the early 1930s, Bartók refused to give concerts in Germany and broke away from his publisher there. His anti-fascist political views caused him a great deal of trouble with the establishment in Hungary. Having first sent his manuscripts out of the country, Bartók reluctantly emigrated to the U.S. with his wife Ditta in October that year. They settled in New York City. After joining them in 1942, their son, Péter Bartók, enlisted in the United States Navy where he served in the Pacific during the remainder of the war and later settled in Florida where he became a recording and sound engineer. His oldest son, Béla Bartók, III, remained in Hungary where he survived the war and later worked as a railroad official until his retirement in the early 1980s. Although he became an American citizen in 1945, shortly before his death, Bartók never became fully at home in the USA. He initially found it difficult to compose. Although well known in America as a pianist, ethnomusicologist and teacher, he was not well known as a composer. There was little American interest in his music during his final years. He and his wife Ditta gave some concerts, although demand for them was low. Bartók, who had made some recordings in Hungary, also recorded for Columbia Records after he came to the US; many of these recordings (some with Bartók’s own spoken introductions) were later issued on LP and CD. Supported by a research fellowship from Columbia University, for several years, Bartók and Ditta worked on a large collection of Serbian and Croatian folk songs in Columbia’s libraries. Bartók’s economic difficulties during his first years in America were mitigated by publication royalties, teaching and performance tours. While his finances were always precarious, he did not live and die in poverty as was the common legend. He had enough friends and supporters to ensure that there was sufficient money and work available for him to live on. Bartók was a proud man and did not easily accept charity. Despite being short on cash at times, he often refused money that his friends offered him out of their own pockets. Although he was not a member of the ASCAP, the society paid for any medical care he needed during his last two years. Bartók reluctantly accepted this. As his body slowly failed, Bartók found more creative energy, and he produced a final set of masterpieces, partly thanks to the violinist Joseph Szigeti and the conductor Fritz Reiner (Reiner had been Bartók’s friend and champion since his days as Bartók’s student at the Royal Academy). Bartók’s last work might well have been the String Quartet No. 6 but for Serge Koussevitzky’s commission for the Concerto for Orchestra. Koussevitsky’s Boston Symphony Orchestra premièred the work in December 1944 to highly positive reviews. The Concerto for Orchestra quickly became Bartók’s most popular work, although he did not live to see its full impact. In 1944, he was also commissioned by Yehudi Menuhin to write a Sonata for Solo Violin. In 1945, Bartók composed his Piano Concerto No. 3, a graceful and almost neo-classical work, as a surprise 42nd birthday present for Ditta, but he died just over a month before her birthday, with the scoring not quite finished. He had sketched his Viola Concerto, but had barely started the scoring at his death. Bartók’s body was initially interred in Ferncliff Cemetery in Hartsdale, New York. During the final year of communist Hungary in the late 1980s, the Hungarian government, along with his two sons, Béla III and Péter, requested that his remains be exhumed and transferred back to Budapest for burial, where Hungary arranged a state funeral for him on July 7, 1988. He was reinterred at Budapest’s Farkasréti Cemetery, next to the remains of Ditta, who died in 1982, the year after his centenary (Chalmers 1995, 214). The Third Piano Concerto was nearly finished at his death. For his Viola Concerto, Bartók had completed only the viola part and sketches of the orchestral part. Both works were later completed by his pupil, Tibor Serly. György Sándor was the soloist in the first performance of the Third Piano Concerto on February 8, 1946. Ditta Pásztory-Bartók later played and recorded it. The Viola Concerto was revised and polished in the 1990s by Bartók’s son, Peter; this version may be closer to what Bartók intended. 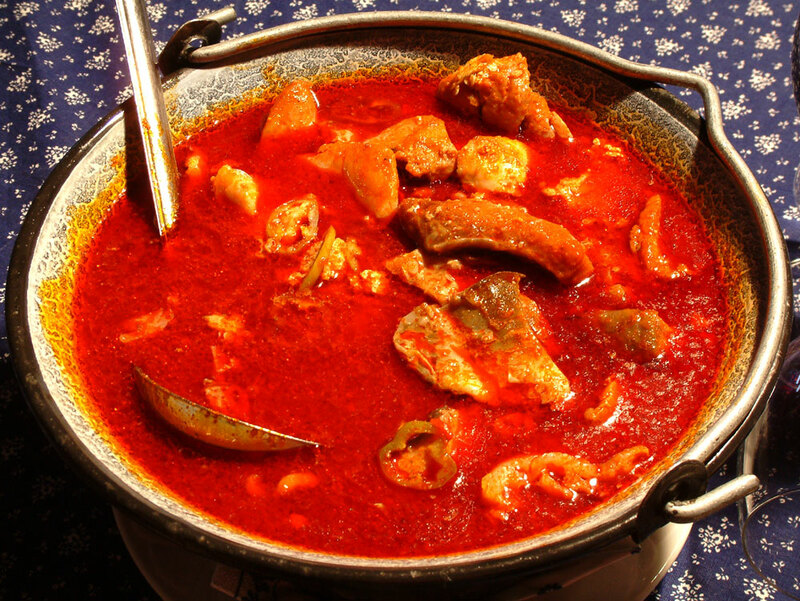 Fisherman’s soup or halászlé is a hot, spicy paprika-based river fish soup, originating as a dish of Hungarian cuisine – a bright red spicy soup prepared with generous amounts of hot paprika and carp or mixed river fish, characteristic of the cuisines of the Pannonian Plain, particularly prepared in the Danube and Tisza river regions. With its generous use of hot paprika, halászlé is arguably one of the hottest (spicy hot) dishes native to the European continent. The dish is a famous soup, eaten by tourists and locals. An important ingredient in Fisherman’s Soup is the court bouillon, which adds significant flavor. To prepare the soup base, fish trimmings are used: fresh carp heads, bones, skin and fins. These are boiled in water, salt and vegetables (red onions, green peppers and tomatoes) for two hours. When ready, the court bouillon is strained. Hot ground paprika and two finger-thick carp fillets, the roe and coral are added to the boiling soup ten minutes before serving. Fisherman’s Soup a la Szeged. Four different kinds of fish are used. The usual ratio is 1.5 pound (800 g) carp, 1 pound (500 g) catfish, 0.5 pound (350 g) sturgeon and 0.5 pound (350 g) pike or perch. Hell’s Pub style Fisherman’s Soup or Drinker’s Fisherman Soup. Ground bay leaf powder, sour cream and a small amount of lemon juice are mixed into the hot soup which is garnished with lemon rings. Fisherman’s Soup à la Paks. Homemade thin soup pasta called csipetke is added. Fisherman’s Soup à la Baja. According to traditional recipes 6.5 pound (3 kg) fish is added and approximately 75% is carp. It’s served with homemade soup pasta called gyufatészta. Traditionally, the soup is prepared in small kettles on open fire on the river banks by fishermen. Fisherman’s soup in kettle is prepared with fresh fish on the place. When prepared in kettles, first, chopped onion is fried in the kettle with some oil until it is caramelized. Then, ground paprika is added and the kettle is filled with water. When the water comes to a boil, other spices (such as black pepper, white wine, tomato juice) are added, and finally the fish, chopped into large pieces. Entire fish, including heads and tails, are often added to the soup. The soup is usually prepared with mixed fish, the most common species are common carp, catfish, perch and pike. Depending on the amount of added hot paprika the soup is mildly to very hot. The Hungarian soup is famous for being very hot and spicy. Many people, especially fishermen, regard the preparation of fish soup as somewhat secretive. Although the recipe is basically simple, the “right” ratio of spices, onion, fish (its quality and variety) and water, as well as timing, affect the soup taste significantly. Many dedicated fishermen regarded their recipes as secret. Competitions in preparing the soup are popular and are usually held at fairs or picnics along river coast. Visitors are offered a taste the soup for money or for free.